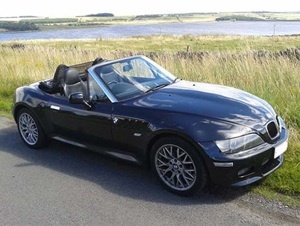 I am a member of my local BMW car club and we are organising a BMW car show at Beamish Open Air Museum, Chester le Street, County Durham on the 28th of April. A few conditions that come with that price, have been imposed by Beamish Museum for any one who want to display their car. You must arrive at the entrance between 09.30 to 11.00 on the 28th April, you then just pay at the gate only £7 pound per person. To aid entry it would be great if you could have the correct change. If you arrive after 11.00 you can still gain entry but you will have to park in the public car park, and you will have to pay full price. You must be in a BMW badged vehicle, so tell all you friends and family, it is not just for Z3 (although that would be nice). You DO NOT need to be a member of the BMWCC to attend this event. If you let me know of anyone who will be attending, and I'll update this post .Then we can all arrive together, or you can just arrive as an individual what ever you want to do. If one of the moderators could put a link on the main page that would be great. Last edited by Fender2004 on Thu 25 Apr, 2013 08:17, edited 17 times in total. sounds like a great day out only wished I lived nearer it's a long way from Bournemouth? Interested in this as I haven't been to Beamish for years - might both come up and have a weekend away. Interested,never been before,should be a cheap and enjoyable day. I'll be going to this, good cheap day out at the price quoted. A few years since I've been to Beamish there has probably been a number of changes since I was last there. Last edited by petecossie on Tue 08 Jan, 2013 21:17, edited 1 time in total. Put me down for this. I have driven past the place many times on my way to the old workplace in Newcastle. I have never visited and have always fancied doing so. Wonderful!!! Right on my doorstep, I live less than 10 minutes away! Put me down for it, looks like a great day out, a great deal on the price too. I would have loved to have attended this show as I'm near Durham and Beamish is a fantastic day out but will be even better with a BMW car show. I recommend people from far and wide travel to this show. You will not be disappointed and will love Beamish Open Air Museum. Make a weekend of it and visit Durham. Look forward to seeing the pictures. I will be attending as its just up the road from me (Gateshead).......however my panic.........!!! 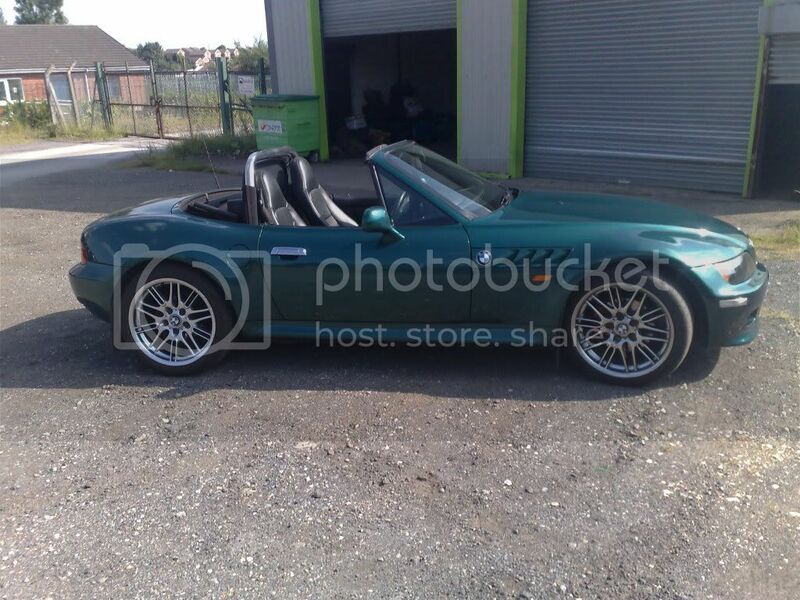 I have just purchased my 3.0, Roadster, James Bond Blue (can never remember the colour) 1997........with nice oversized BMW 20" alloys !! The down side it is currently sporting a masking taped on Drivers Mirror and requires a full valet and clean before I could bring myself to park it next to some of the absolute gems I have seen on the website. 7 Weeks and countining, am praying for some good weather and free time (I have a 3 mth old baby) over the next few weeekends !! Thanks for the kind words, I agree it should be a great day out with lots of things to see and do. Last edited by Fender2004 on Sat 02 Mar, 2013 10:31, edited 1 time in total. I'm sure your car will look great see you there. Numbers seem to be growing nicely for what looks like being a great day out! Quite fancy this one.as long as its not .p.ssing down we'll be there. Sounds like it could be a good day and somewhere new will give it a try another from the yorkshire clan can you add me and jayne to the list cheers tony. yocky z3 2.0 wrote: Sounds like it could be a good day and somewhere new will give it a try another from the yorkshire clan can you add me and jayne to the list cheers tony. That's great another one added to the list. Fender 2004 - you have a PM. although my car is prepared for the motorsport i do in it and its a bit of a slag..i might have a run up there..im only in Seaham so its not that far !! walrus5668 wrote: although my car is prepared for the motorsport i do in it and its a bit of a slag..i might have a run up there..im only in Seaham so its not that far !! Hope weather is ok.......its all grass at Beamish !! As Dolly partum once sang. Lay a blanket on the ground. It's just a suggestion do you all want to meet up before Beamish so that you all arrive together? If you arrive together there is a lot more chance of you parking together. Can I suggest to meet at Durham Services Junction 61 around about 9.00 as it is about 25-30 minutes from there. Unfortunately I will not be at this meeting point as I will have lots to do at Beamish on the day. But I'm sure you will be able to sort everything out between yourselves. You can just arrive by your self if you like. Please post on here to let other members know what you all want to do. usual meet? Ready for a steady cruise up the A1?? plus anybody else who might like to join! If so what time would you think? 7.30am maybe??? Put me down guys I think I can make this one. Hi brilie ferrybridge will be ok for me will be there for 7.30 see you there cheers tony. yocky z3 2.0 wrote: Hi brilie ferrybridge will be ok for me will be there for 7.30 see you there cheers tony. Are you calling at Durham services on the way as we are staying about 15 mins away from there on Saturday night and could meet up there? If not we could make our way across to the A593 and find somewhere to wait between the A1 and Beamish. In wet and windy Ireland until Wednesday so hoping that it's better weather for the weekend. Will you put me down for this one. I will meet the 'Yorkshire crew', if such a thing exists, at Ferrybridge at 7.30! The weather forcast has picked up a bit so should be a good day. See you then. John. 1997 Z3 2.8 in Montreal Blue, only 130k on the clock!